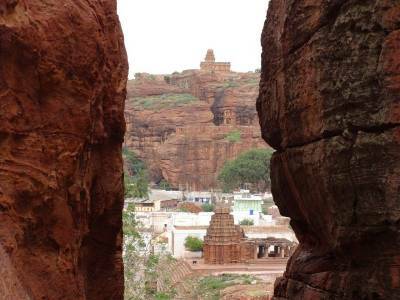 Badami fort is one of the hidden gems of Karnataka and one of the oldest forts in India (now ruins). 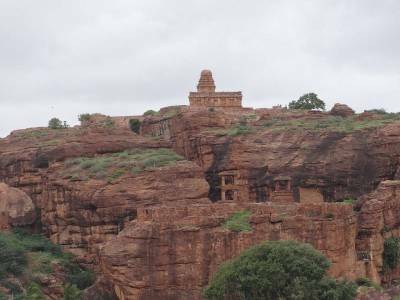 The Badami fort located on the top of famous Badami caves temples and the fort was built by the Chalukya's dynasty on 544 AD during the ruled in Badami. 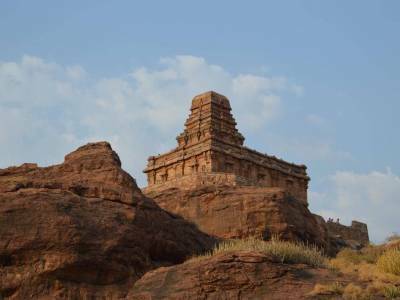 It is Said, a battle that ensued between the Chalukyas and Pallavas the latter king Narasimhavarman won the battle and in his bad temper destroyed every inch of Badami. 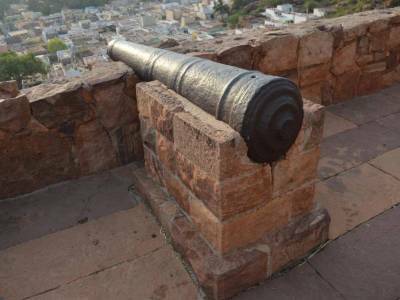 What we see at present is remnants of bygone fort and beautiful Vatapi or Badami. Its best to see the fort at sunset time when the sunset colours play on the massive red cliffs surrounding the caves and on which the fort is built. 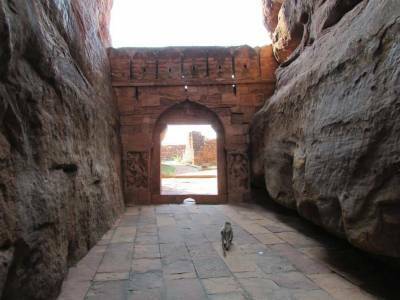 Get quick answers from travelers who visit to Badami Fort.